Shoon Murray is Program Director of US Foreign Policy, and Associate Professor in School of International Service, American University. She has written widely on such topics as public reactions to military force, the effect of polls on presidential behaviour, and the role of values and partisanship in leaders’ belief systems. She is currently working on articles about presidential framing and press coverage leading up to the invasion of Iraq. Mission Creep: The Militarization of U.S. Foreign Policy (coeditor with Gordon Adams), 2014 expected. Book contract with Georgetown University Press. “Combatant Commanders, Ambassadorial Authority, and the Conduct of Diplomacy,” 2014 expected. In Gordon Adams and Shoon Murray, eds., Mission Creep: The Militarization of U.S. Foreign Policy (book contract with Georgetown University Press). 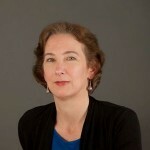 Julie Mertus is Professor and co-director of Ethics, Peace and Global Affairs in SIS. She is a lawyer who has written widely on human rights and gender, conflict, the Balkans, US foreign policy and UN institutions. She is the author or editor of ten books, including Bait and Switch: Human Rights and U.S. Foreign Policy, named “human rights book of the year” by the American Political Science Association) and, most recently Human Rights Matters: Local Politics and National Human Rights Institutions and The United Nations and Human Rights. Michelle Egan is Program Director, Associate Professor and Jean Monnet Chair of European Integration in SIS. She is the co-editor of the Palgrave Series of the European Union, and executive committee member of the European Union Studies Association. Her works on European integration and transatlantic economic relations have been published by Oxford University Press, Manchester University Press, and Palgrave Macmillan among others. She is currently writing two books on European economic issues, received fellowships from EUI, Bosch, DAAD, among others and is a former research fellow at CEPS.